At Paris Games Week 2018, Bandai Namco announced that NieR: Automata’s 2B would be joining Soulcalibur VI. Now, we have a closer look at the android in action. The photos primarily focus on her alternate costume, while also giving a deeper look at her moves in combat. 2B is the latest guest character to join the Soulcalibur VI roster, following Geralt of Rivia. 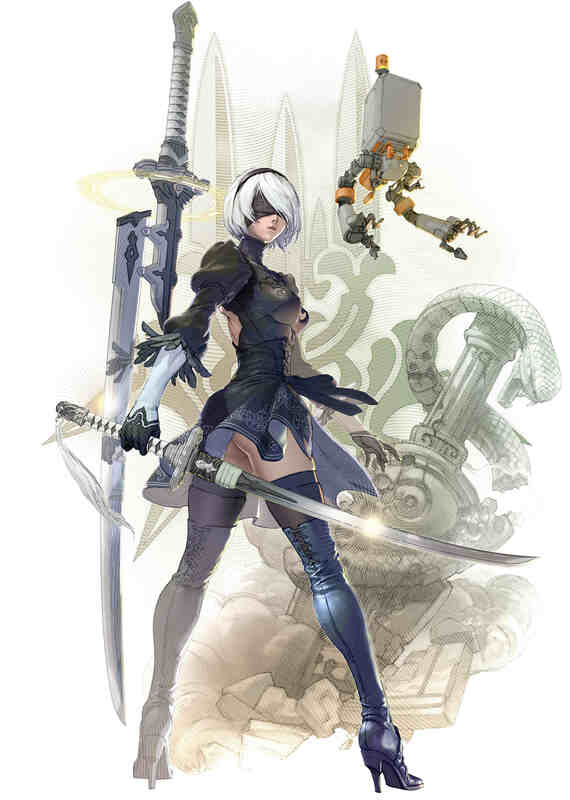 Unlike Geralt, who comes with the base game, 2B is a DLC character and part of the season pass. The Soulcalibur series is famous for its guest characters, from Star Wars‘ Darth Vader to Assassin’s Creed’s Ezio. This isn’t 2B’s first guest appearance, either. She also made a cameo of sorts in 2017’s Gravity Rush 2. She joins fan-favorite Soulcalibur fighter Tira as the second downloadable character for Soulcalibur VI. Unfortunately, that decision ultimately led to a heap of controversy, although the reception to 2B’s inclusion seems a little more positive. Are you excited for 2B’s appearance in Soulcalibur VI? Does this make you want to get your hands on that season pass? Let us know!